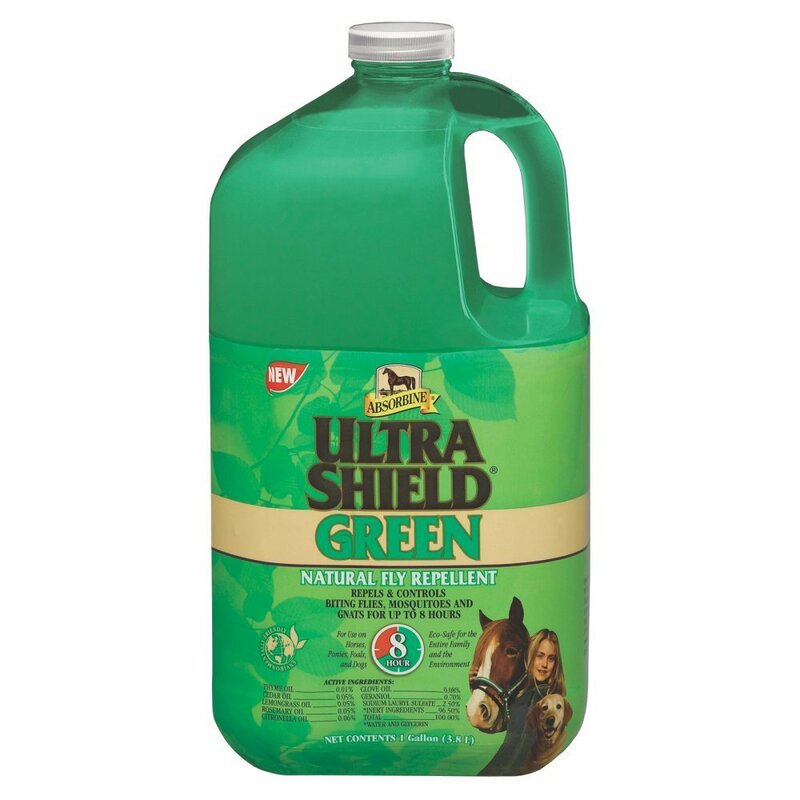 Absorbine UltraShield Green is an eco-friendly, natural fly repellent that controls biting flies, mosquitoes and gnats for up to 8 hours. Formulated for use on horses, ponies, foals and dogs, this spray contains seven essential oils that are known for their repellent qualities. It smells great and leaves coats shiny! No dilution necessary. Shake well before using. Brush thoroughly to remove excess dust and dirt. Spray directly onto coat prior to riding, showing, or turning out. 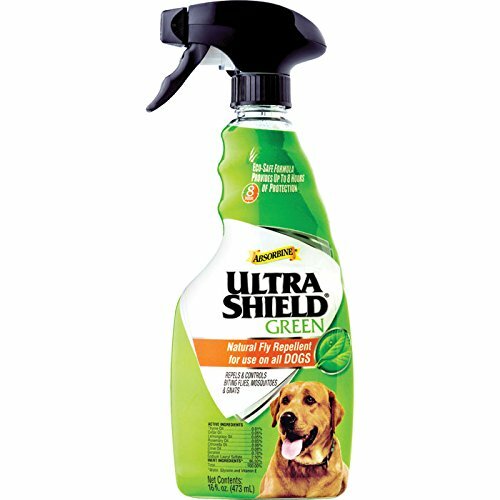 Do not spray in eyes or mucous membranes. Use a soft cloth to apply to the face and other sensitive areas.